The project is Strategically located and it is just 2 KMS from Mucherla IT Cluster, closer to Proposed Georgiatech International University, Pyramid city and directly facing Srisailam National Highway. Once you reach a certain stage of material success, you aspire to have your own home that is truly exclusive. You want to get your act right the first time. 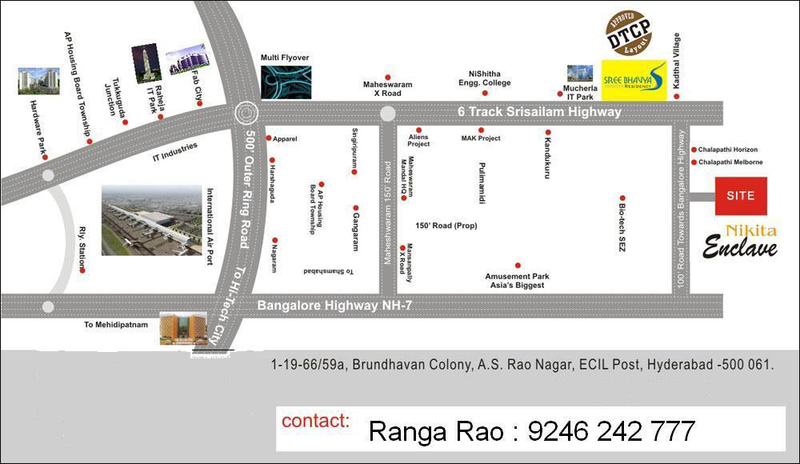 You are looking for clean surroundings away from the city, and yet you would like to have your conveniences and advantages. 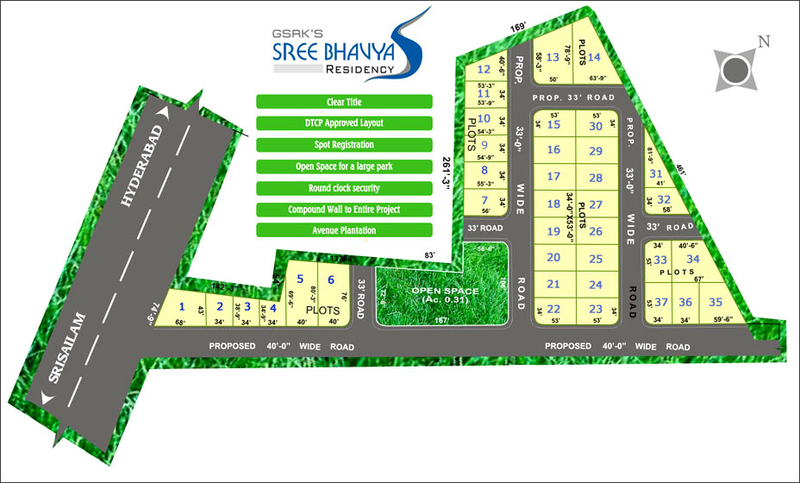 Your search is nearing its end at SREE BHAVYA RESIDENCY. Where the grass you walk on is still a thick green carpet, lush and cool. Where manicured lawns and false greens have not yet substituted the splendor of nature. Where meadows, parks lake and hedges are ripe and sublime. Accompanied by a separate landscaped garden, fruit trees and shrubs.